At the risk of revealing a little too much about how my mind works (or doesn’t), I have to admit something. 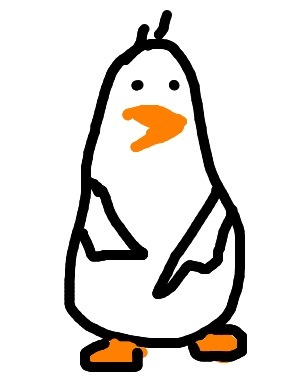 I can’t stop drawing penguins. 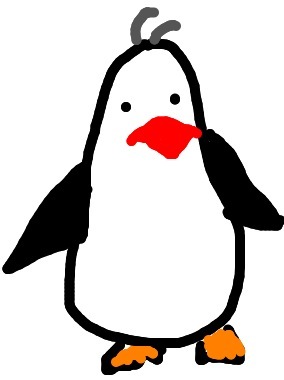 Ever since we talked about “Random Penguins,” I keep thinking of, well, random penguins. 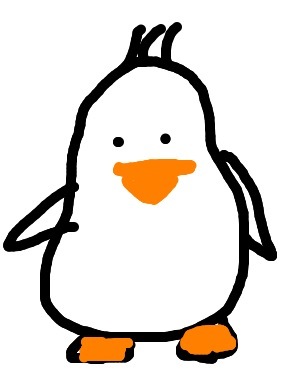 In the carpool line, waiting for my coffee order, when I’m supposed to be working, before I fall asleep… I draw penguins. On my phone. With my finger. Went and got some Lululemon and damn if she doesn’t walk around in little stretchy skirts all the time now like someone might just lob a tennis ball at her at any moment in the grocery store. 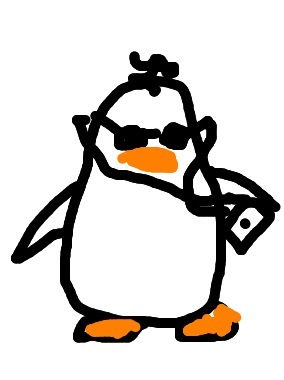 Hipster penguin knew about that band before you did, mainstream loserface. But come on. In real life, you know how it turns out. They’re fraternal. 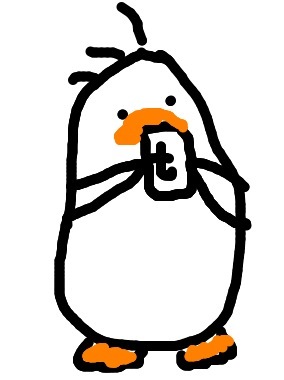 Too busy telling penguin jokes on Twitter to interact with other penguins. This is that girl who thinks she’s totally pulling off the bold red lip for everyday. But she’s totally not. Carl tells everyone all about his vasectomy at parties. Gross, Carl. The great thing about Botox is that it really does allow freedom of natural facial expressions. Hahhahaha! Oh these are too cute. And I think you are destined for your own comic strip!!! Love the twins. Yes on the fraternal lol. Thank you! I have to admit, when I scroll through these on my phone, the fraternal twin gets me every time. I kind of love him. Congratulations. This was truly a happy feat. (Having closed this post with “tip of the iceberg,” I will absolutely not throw stones through my glass wall at “happy feat.”) Thanks so much! You may want to engage a copyright attorney. I would, but I’m already married. This confirm: you’re the top of my blog crush list. 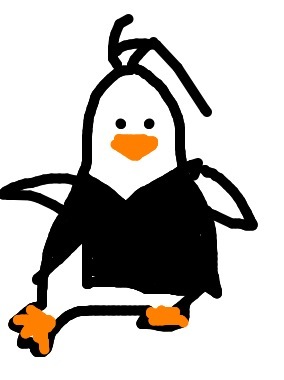 Lululemon penguin? Genius. Ha! Oh, thanks… I mean, we all know her, right? Haha! Loved this. Why is there a Carl at every party? There *is*, isn’t there?? Gross, Carl, quit it. Thank you! There’s a lot of that look going around these days, it seems. Thanks for reading! Sorry about the mess. Haha….it was well worth it!! 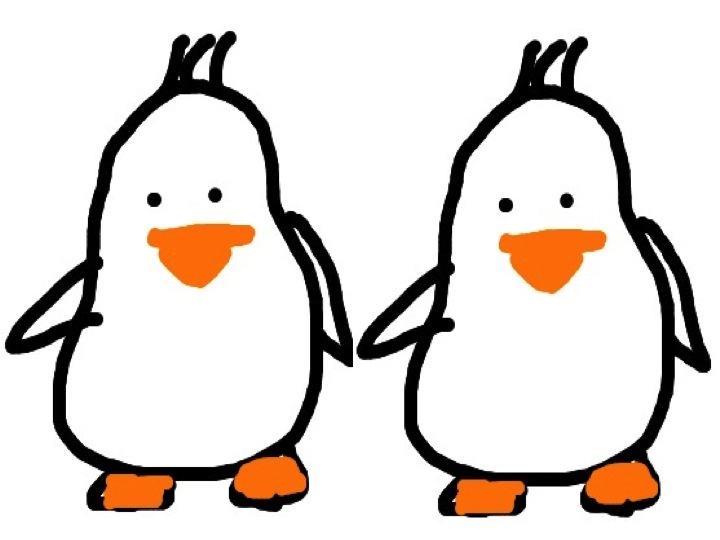 Love your penguins! All so cute. You are very talented. You are so weird. I’m coming back every day. It makes me so happy when I realize there are other weirdos out there. 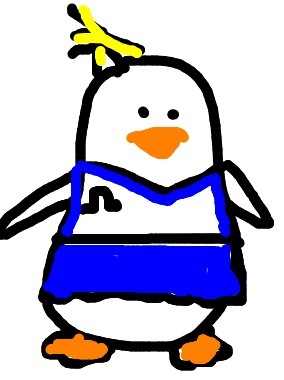 There is an opportunity to do a whole timeline expansion if you will, involving the Lululemon peguin. 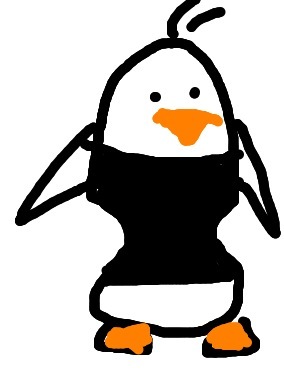 It loosely goes as follows: Lululemon penguin is the new black yoga pants penguin, is the new vinyl pant/hoodie combo penguin, is the new sweat pants penguin, is the new moo-moo/kaftan penguin. See the evolution here? See? Oh. my. god. This is possibly one of the best things I’ve seen at of Tuesday morning. Maybe. Seriously, though. This is pretty great. Maybe one of Tuesday’s better offerings? Hey, I’ll take it. Thanks so much for stopping by! Glad you enjoyed. Love this – I am a little worried that I might sometimes be the penguin trying to pull off the red lipstick tho…! BTW have you met elodieunderglass: http://elodieunderglass.wordpress.com/2012/10/26/youre-a-strange-man-charlie-darwin/ She has similarly awesome drawings that make me laugh. Oh my word, that is absolutely hysterical. Thank you so much for the link. I’m going to march myself right on over there and say hello! Thanks for stopping by. I bet you’re totally pulling off the bold red lip. 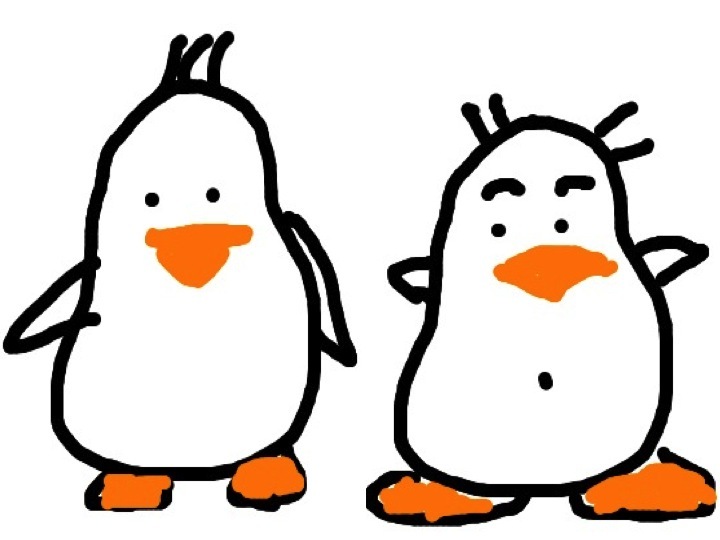 Just checked your site… *You* have some great little drawings, too! 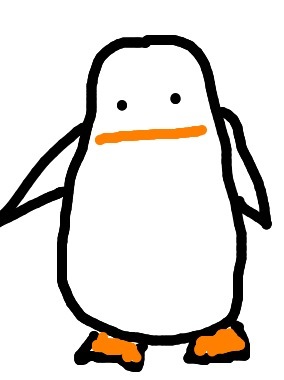 Time to write a Penguin coffee table book. I want one. Haaaaa…. 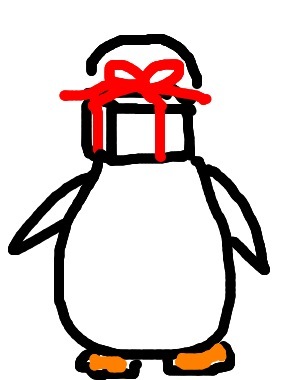 OK, if I ever do that, you get the first one, with your very own penguin drawn on the inside flap! 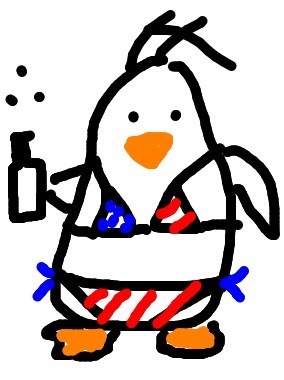 You should send it to Penguin Publishing House. Well, this has closed the circle nicely. I love this, and I’m terribly glad that I saw it! Thanks! Lovely to meet you! I might. Thanks for stopping by! 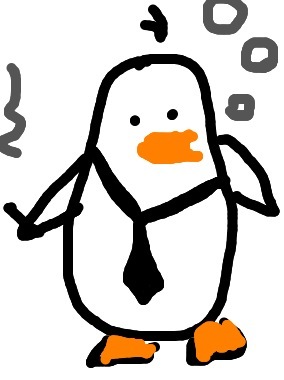 Smoking penguin is really smokin’ 😉 All of them are cute,love them… got some idea there…nice!